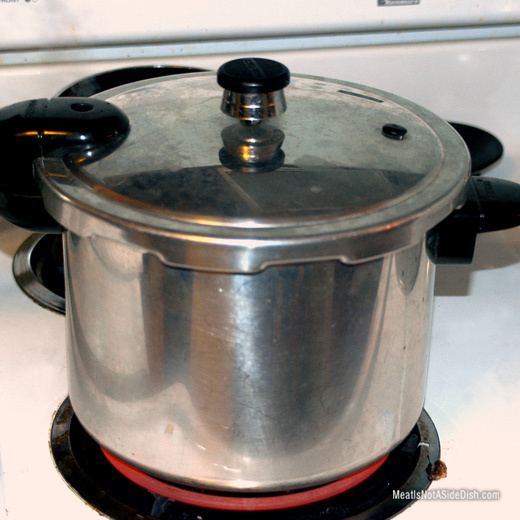 Preheat pressure cooker on high with oil in the bottom (keep lid off). Mix dry ingredients together (first 9). Rub dry mix on both beef halves (on all sides). Brown beef in oil on all sides, do not drain. Pour in beef broth and close with lid. 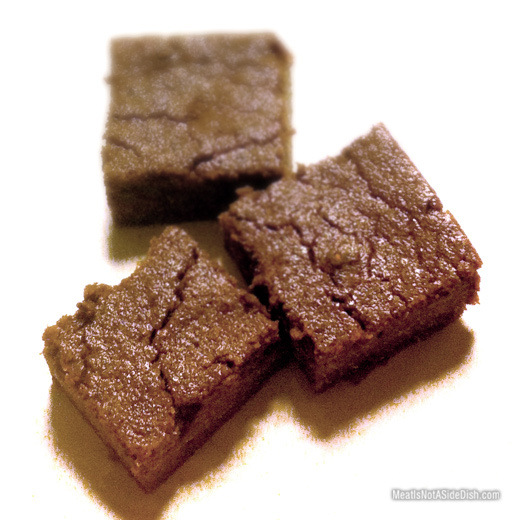 Bring cooker to pressure over high heat, then turn temperature down to medium and heat for 30 minutes – partially frozen or 25 minutes – fully thawed. Let cool in sink for five minutes then run cold water over entire cooker until pressure has released. Remove lid carefully and shred beef using a fork. Serve with gravy of your choice over bread. 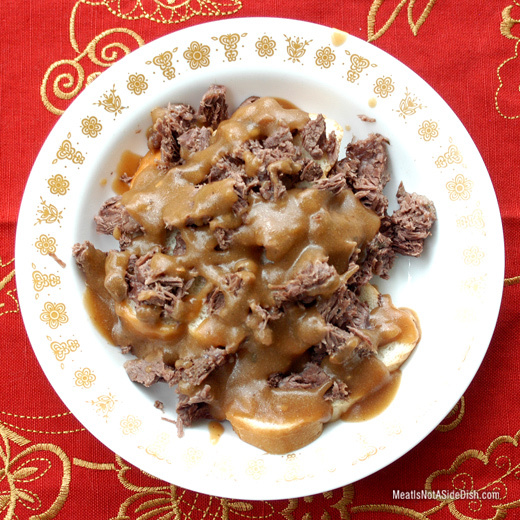 Drippings from the pressure cooker can be used for gravy if desired – remove bay leaves. 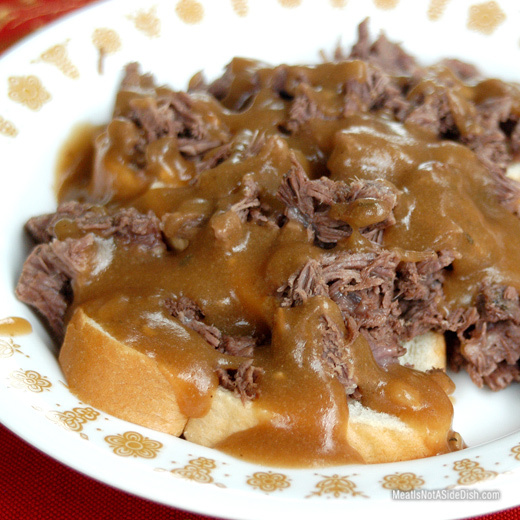 NOTE: This Pressure Cooker Open-faced Beef Sandwiches recipe can also be cooked with vegetable (add on top of beef before sealing) and served without bread for gluten-free option.